The Rocket Man hitmaker's milestone birthday was on Saturday and his friends and family put together a party at The Hammer Museum in Los Angeles. Elton John celebrated his 70th birthday with a star-studded party featuring Lady Gaga, Stevie Wonder, and Katy Perry. The get together also helped to raise money for both his AIDS Foundation and the museum and celebrated the 50th anniversary of his songwriting partnership with Bernie Taupin. Katy Perry, Heidi Klum, Dakota Johnson, Matthew Morrison, Ryan Phillippe, Neil Patrick Harris and his husband David Burtka were also attendance, while Gaga and Stevie hit the stage for a performance of Wonder's 1980 hit Happy Birthday. The 66-year-old sang John's 1973 song Daniel and Gaga performed her 2011 track Born This Way. Ryan Adams also graced the stage to perform John's 1972 hit Rocket Man. 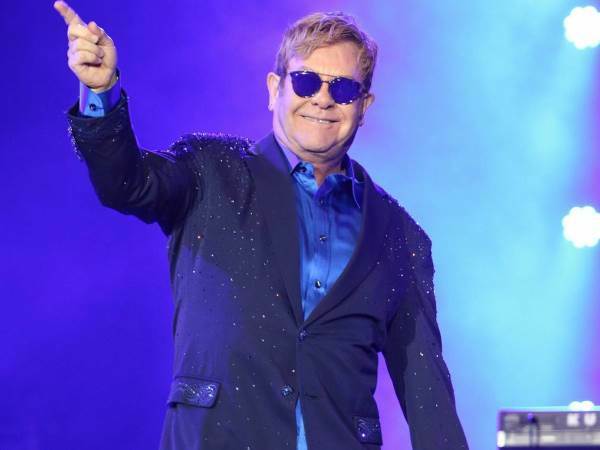 Elton has always been a fan of celebrating his birthday and he was thrilled he was able to mark his big one this year while still doing what he loves. "I'm interested in moving forward all the time, with what I create, my collaborations, and also with discovering the work of other people," a statement from John reads. "I think age is immaterial, provided we keep our minds alive by being open to new things. I can be as excited by a new artist who plays me their demo as I am by a new record of one of my musical heroes. I can be excited by playing a new city I've never played before, or revisiting somewhere I know well and seeing how it's changed." "Life is a constant state of flux for us all, and I like to embrace that," it continues. "I also feel very happy to use my position to bring attention to injustice in the world, and to try to help where I can. At this time in my life I'm the happiest I have ever been."